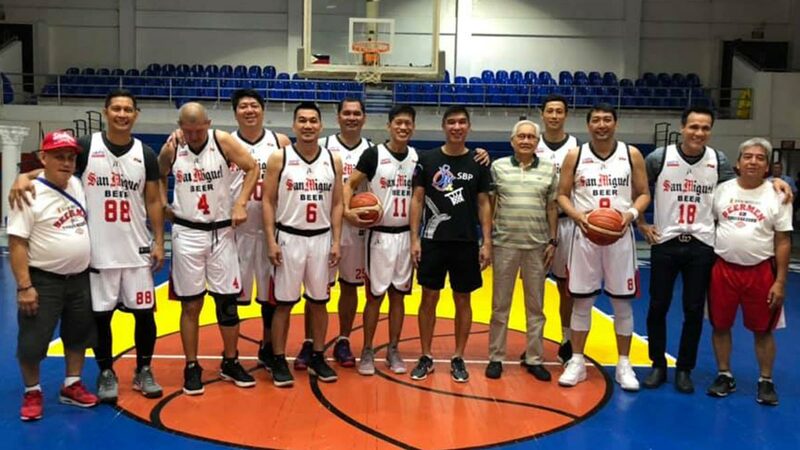 DANNY Ildefonso looks forward to playing not only with fellow San Miguel legends but also with his son Dave in a side event of the ‘Return of the Rivals’ exhibition matches on Sunday at the Smart-Araneta Coliseum. The 42-year-old Ildefonso will be suiting up for San Miguel when the Beermen face Alaska in the first game of a benefit doubleheader organized by UNTV and backed by the PBA. Ildefonso is so excited on Sunday he will play despite nursing a groin injury he sustained during one practice of the team. “Monday nagka-groin (injury) ako pero lalaro ako. Minsan lang ‘to,” said Ildefonso. Ildefonso will also take part in a father-and-son two-ball where he will partner with current National University standout Dave Ildefonso for the side event. “Siyempre masaya ako dahil kasama ko anak ko tapos marami pang tao,” said the elder Ildefonso. A top overall pick in the 1998 draft, Ildefonso made a name with the Beermen where he won two MVP trophies. He spent 15 seasons of his 17-year career with San Miguel. In the ‘Return of the Rivals’ doubleheader, Ildefonso will be playing with different generations of San Miguel players including Allan Caidic and Ato Agustin. “Siyempre masaya kasi kapag nakita ko sila, nandoon ‘yung maalala mo ‘yung mga magandang alaala nung panahon namin. Nung binigyan ako ng chance kung gusto ko maglaro, lalaro ako,” said Ildefonso. Ildefonso said the Beermen are preparing intensively in the match. Unfortunately, current San Miguel assistant coach Biboy Ravanes won’t be playing in the exhibition game against Alaska after an Achilles tear. “Hindi pa maganda start namin kasi na-injured kasi si coach Biboy Ravanes. Excited pa naman ‘yung mama. Pagdating pa lang, nagwa-warm up na,” said Ildefonso. Ildefonso said San Miguel is looking at nothing else but a victory over Alaska, which incidentally is the current team he works for as an assistant coach under Alex Compton.